Downtown Meiwah to open in a new location downtown after closing in West End? Friday Question of the Day Let’s Do This – Best Burger/Best Fries in D.C.? “WHAT: Nestled between the banks of the historic Anacostia River, DC’s premier benefit music festival will return to Kingman and Heritage Islands Park for the 9th time to join the District in celebrating the Year of the Anacostia with crowds expected to exceed 10,000. 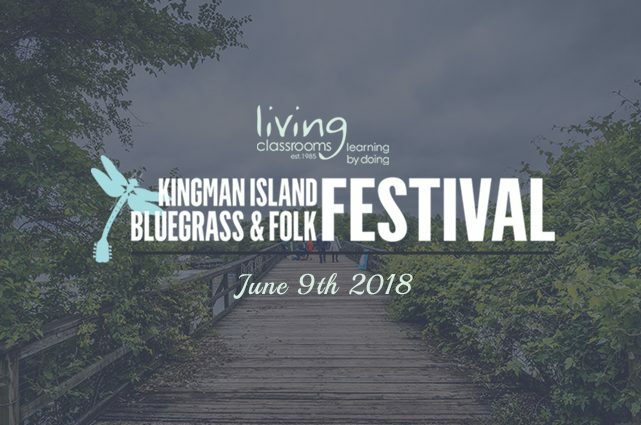 The Kingman Island Bluegrass & Folk Festival has a long history of representing musical talent from all wards of the city, surrounding regions, backgrounds, cultures, genders, old and young, and this year will be no exception. With a diverse cast that includes several female- and African American-fronted bands that highlight the roots of bluegrass, folk, and Americana, this is another can’t miss event! Headlining the day will be Gangstagrass and a very exciting showcase, The American Songster Revue (featuring Dom Flemons, Guy Davis, Amythyst Kiah, and more!). The lineup will also feature Dori Freeman, Crys Matthews, The Gina Clowes Project, Babeo Baggins, Wild Common, The Dirty Grass Players, The High and Wides, Letitia VanSant, The Fly Birds. Also on the ticket are: Elena & Los Fulanos, Bearcat Wildcat, Moose Jaw, The Gin Rickys, Boaty Otis, Under the Oak, The Sunrise Review, Rock Creek Revival, David James, FunSho, The Wildmans, Jahnel Daliya, Cramer, Reed Appleseed, NEFFY, and The Iris Bell. With featured artists, Jonny Grave and Odetta Hartman. With two exciting headlining acts to be announced on April 22 and May 12. The festival will also feature delicious local food from your favorite food trucks, craft beer from Sierra Nevada and Atlas Brew Works, and cocktails from Tito’s Vodka, with fun for all ages including various outdoor activities, a kids’ zone with Baba Ras D and Soolah Hoops, and more. In partnership with the DPW and DOEE, this event is currently the premier zero-waste festival in DC and has successfully reduced landfill waste by over 80% through composting, recycling, limiting the use of paper products, and encouraging the use of low-emission transportation. Check out our website for more information about our zero-waste initiative. WHERE: Kingman and Heritage Islands Park. 575 Oklahoma Ave NE, Washington, DC 20002. Entrance located at RFK Stadium Parking Lot 6. WHY: The Festival is a benefit for Living Classrooms of the National Capital Region who has worked to inspire and educate disadvantaged youth and young adults in the DC region for over 15 years through hands-on education and job training. The Foundation maintains Kingman Island for use as a public recreation space, nature preserve, and “living classroom” for hands-on environmental education programs for underserved area schools. God Bless It, This Year’s First Truckeroo planned for Tomorrow Postponed Due to Rain. Ruta Del Vino gets new executive chef, check out the new spring menu. Also today’s warm weather means the sidewalk cafe will be open!